Often described as ‘floating worlds,’ Tim Johnson’s captivating paintings embrace multiple iconographies including those of Indigenous Australia, Buddhism and aliens in popular culture. The impact of Papunya paintings and Tim’s extensive contact with artists there in the 1980s continues to be a major influence on his practice. Significantly, Tim was given permission to employ stylistic motifs used by these artists in his own work, which is evident through his use of dots as one component in an esoteric and eclectic painting style. In these works, Tim also attempts to fuse Buddhist imagery from Tibetan, Chinese and Japanese traditions with other belief systems in a syncretic manner, where similar ideas, visual imagery and language can be seen to overlap or coincide. 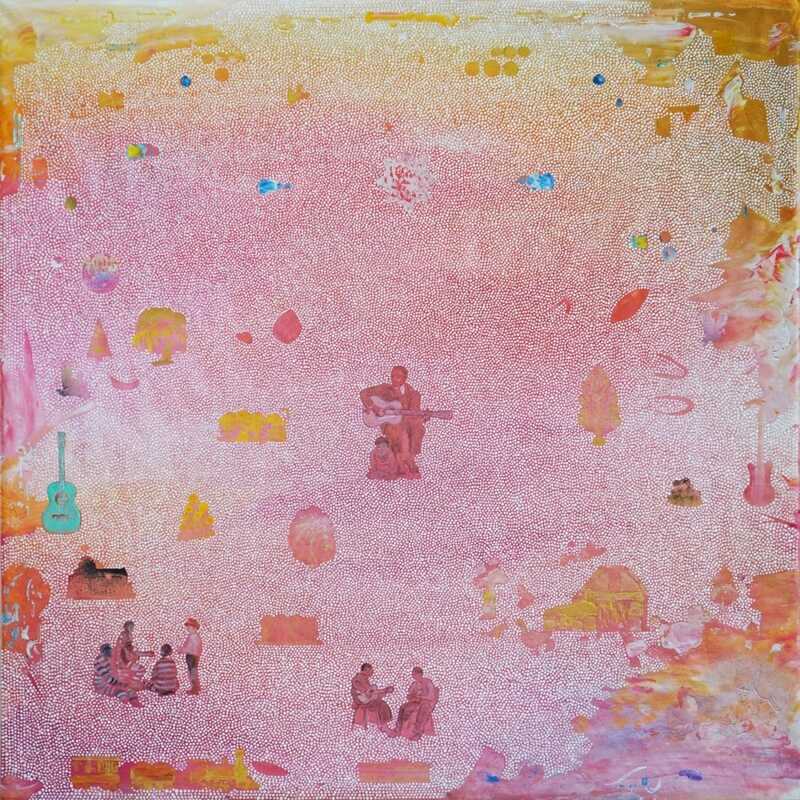 As part of this fusion, more ‘Western’ aspects also emerge during the painting process, such as abstraction, chance events and a kind of subjective artificial narrative.